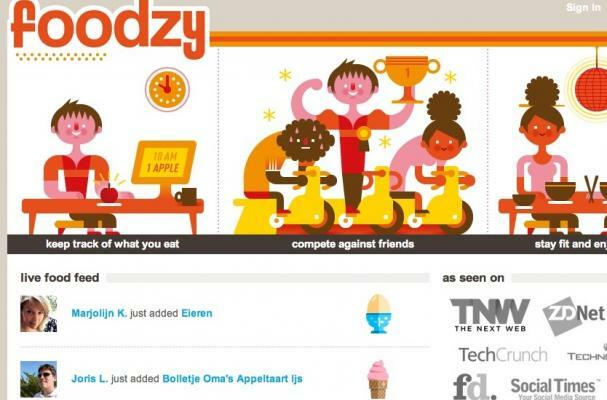 An Amsterdam startup called Foodzy is attempting to incentivize healthy eating by doling out badges to its users. Foodzy members log their daily meals into the application; those who eat plenty of healthy items like fish, fruit and vegetables earn badges in return. Foodzy isn't strictly a dieting site, however; it also awards badges for indulgences like cake on one's birthday or barbecued meals during the summer. This emphasis on a balanced, enjoyable diet poses a more realistic solution to daily meal-tracking than eating plans that don't allow for occasional splurges. Foodzy also has a competitive component that enables friends to compete against each other to see who can eat the healthiest for the longest. Foodzy says that a mobile app is forthcoming, and future functionality might include integration with Wi-Fi scales, Nike Plus and other wellness devices.